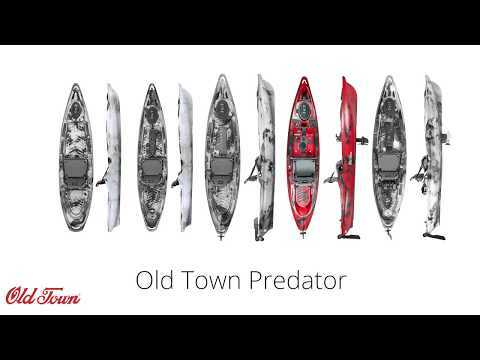 The Old Town Predator MX Kayak is the ultimate kayak for sportsmen delivering a perfect platform for fishing and on-water sporting. The Predator MX, or Mixed Water, features a slightly more rounded hull, designed for moving water conditions such as rivers without sacrificing the Predator's class leading stability and performance. The versatile Element seating system gives you that stability while seated, yet can be quickly flipped out of the way for poling, sighting and casting. The Predator MX also features a spacious Exo-Ridge deck providing the perfect standing platform, room for extra gear or a furry companion. The side-mounted paddle storage, dual tackle holders, dual-tip rod holders at the bow, side-mounted retainer bungees, molded paddle rest, removable mounting plates, and a large bow hatch with the Click Seal cover make this the ultimate fishing kayak. Exactly what I was looking for. It's no speed demon but it fits easily in the back of my pickup, I can carry it short distances without problem, it fits me and my gear, AND bonus point... they put two built-in rod holders in the back that aren't pictured! 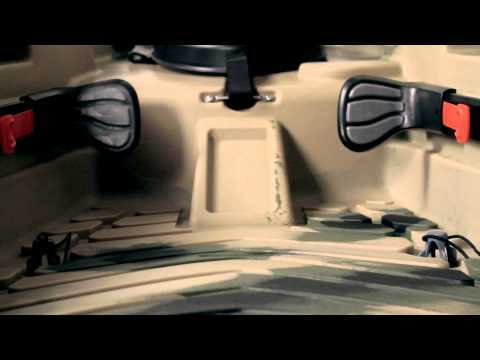 I wanted it for fishing and waterfowl hunting and it's going to fulfill all my needs. Having the mounting plates is a huge bonus too as I love having the ability to change out plates if I need to and that I don't have to drill into the kayak itself. No complaints so far and looking forward to the future adventures. This is my first dedicated fishing kayak. I upgraded from a Loon 138 that I've used for the past 15 years as my "fishing yak". The Predator MX is great and has met my expectations! Most stable boat I have ever paddled. I'm 6'4 and 240 lbs and I can stand and fish in it. Love the open cockpit design and the plates added for customization in addition to the large storage areas. My son can even sit in the back area if I take out the bungies and fish with me. The chair is also the most comfortable I've paddled in, hands down. Many reviews state that its slow - of course it is, all the stability comes at the price of speed, but honestly its not as bad as I thought it would be. As long as you are not trying to exceed the hull speed, its a smooth ride. My calculations put the speed between 3-4 mph with moderate paddling in no current. Tracking is good and what is expected for a 12ft boat. The big drawback to me is the weight. Steep banks or rocky banks will be almost impossible to get the boat down with just one person. Its a price I'm willing to pay for how great it is once I get it on the water. Just finishing up my first season fishing from my Predator 13. I absolutely love it. I've spent days in the seat catching hundreds of fish. It's extremely comfortable. The one thing to keep in mind, particularly if you're going after large fish like Musky, as I do, in northern Wisconsin...the deck space in the kayak is tight. So you need to be prepared to handle large fish when you're on your own. It only took one large Pike trashing between my legs for me to realize this. I'm better prepared now. I leave all my gear loaded in my kayak during transport. So it is a bit heavy to load and unload. But between the Seattle Spots scupper kayak cart and the Seattle Sports boat rollers I use (both work great) I can load and unload on my own. It's pretty easy once you do it a few times. I transport my kayak on my 2007 Honda Civic hybrid. You'd hardly know it's up there traveling 70 mph...I recommend the Danuu cover...although, I'd design it a bit differently for this specific kayak. I honestly can't say enough about this kayak. Predator MX: Great kayak for fishing the North Branch of the Susquehanna as well as all the area lakes. It is stable with a lot of room for gear, supplies, and everything you will need for a day on the water fly fishing. I carry a cooler, camera bag, two 9 foot fly rods, several boxes of flies, a pack (with leaders, tippets, pliers, stripping guards, sun screen, and cigars with lighter and cigar cutter), and anything else I feel necessary. I like the leg room and comfort of the elevated seat, as well as being able to stand if you would like. Well worth the money! Old town predator MX. Great boat! It takes some practice to stand in but it is possible. You will want a cart to pull it very far. It's a bit heavy but you can tell it is well made. This kayak is wide, stable and comfortable. I like the replaceable mounting plates, they make customizing easy and inexpensive if you make a mistake or change your mind about and accessory. The seat is very comfortable, and will fold back out of the way for a better standing platform. There is also a nice storage pocket on the back of the seat. I enjoy being able to stand up and stretch my legs and had no issues doing so in this kayak. The front hatch could be slightly larger to make it more useful and you place any small items in the front hatch they can slide all the way to the back of the boat making them difficult or impossible to retrieve on the water. Overall this boat is a good fit for my needs and fishing style. It came very well packaged with all of items secured inside the boat. Only took a few days to get from Texas to Virginia. ACK was great to deal with and saved me several hundred dollars over the same items purchased locally. **Amending my original** I am new to kayak fishing and did a considerable amount of research prior to purchasing this vessel. I flipped a standard kayak with a rounded hull and wanted something comfortable and stable for fishing. I found it in the Predator. I fish the Des Plaines river in Illinois. This can be treacherous and fast moving. This craft is stable, rock steady and durable. You can stand up but you still need good balance or you will fall out. The kayak won't flip over. Heavy, sturdy and worth the price. It is extremely comfortable and I have sat in it for hours with no discomfort. Roomy, wide and can hold pounds of gear. It is heavy so keep that in mind if you plan to cartop carry. Great service from ACK staff. They were very knowledgeable and patient answering all of my questions. Shipping was fast and hassle free. I ordered on a Monday, and it arrived by Thursday. The MX is my second kayak (I started out with an Ascend FS128T) and I could not be happier with the purchase. I debated on this and the Predator 13, but ultimately I wanted the wide open area of the MX. Many of the reviews note that the MX is heavy. Coming out of that Ascend, I feel like the MX is light. I can actually pick this up by myself. The plates offer customization options that allow you to try new rigging ideas and if it doesn't work, toss the plate. You don't have to worry about that permanent pad-eye or Scotty base that is just not in the right spot. The first day I tried it out in a small pond. Even in high winds I was able to keep it moving with little or no effort. The MX glides through the water and it is dead silent as it moves. If I could paddle quietly there would be no sound at all. Tracking is what you would expect on a 12' yak. I actually had to change my paddle method since this is so much easier to maneuver than the Ascend. Stability is top notch. My Ascend was super stable, I had no problem standing up in it and paddling, casting, or ridding myself of beer waste. However, the MX has the Ascend beat hands down in the stability department. I am more likely to step off the yak into the water before I ever tip it over. The seat is the most comfortable I have used in a kayak. I think it beats my buddy's Native Slayer seat. I cold easily spend a day on the water with no back problems whatsoever. 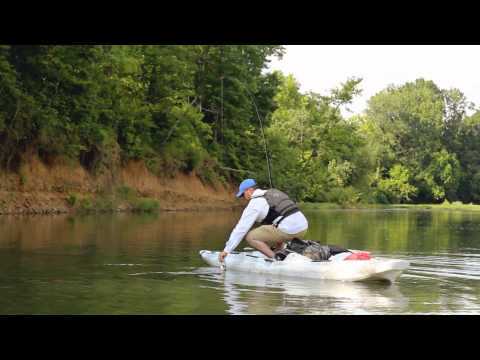 If you are looking for a great all-around fishing kayak you cannot go wrong with the MX. Add in the great staff at ACK helping you through the buying process and you have a winning combination. I first put the MX in the water close to a dam. Within 10 feet of leaving the shore I was standing up. The stability in this boat is probably the best of any out there. Once we left the still deep pool below the dam we were faced with our first set of riffles. They were shallow and the rocks high. It gave me a good feel as to how the boat would turn. It actually turns on a dime and i picked my way through the rock garden easier than I ever have. If you fish rivers and lakes like i do, then this is the best boat out there. And yes, the seat is very comfortable. Be warned, it is heavy but so are most kayaks you can stand in. I don't know about taking this through any serious rapids. I probably wouldn't go above a 2, but thats me. The niftiest thing about this boat is the removable/interchangeable plates. I have attached rod holders and fish finders. I used the 2 plates behind the seat to mount a trolling motor transom, works perfectly for big lakes and you can remove it whenever you want. I've had this kayak for about a month and a half now and have taken it out a few times and I love it. Standing in it is easy and it tracks well. I've taken it to a few small lakes so far but it seems like it would work well in slow moving rivers and other bodies of water. I wouldn't do whitewater in this though just strictly fishing. There are lots of ways to customize it and make it suitable for you. I got to admit I was nervous about making such a purchase site not seen but Austin Kayak had the best deal and free shipping. 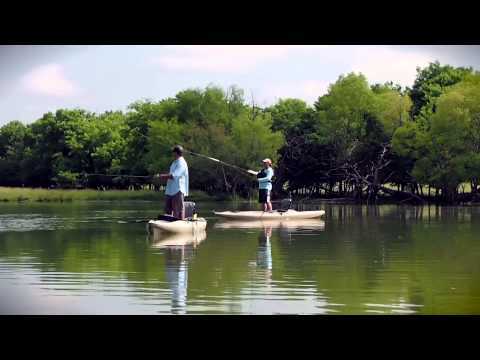 I am 5 star happy with the product and with Austin Kayak. Shipping was fast and my yak came wrapped up like a new baby. I also got a 15% coupon for my next purchase which I will make with no reservation. The MX is a great Yak. 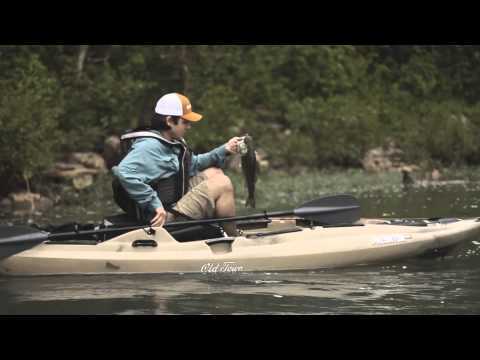 I researched the heck out of different fishing Kayaks and I found the one. AND the company to get it from. purchased the MX to fly fish in remote ponds in the state of Maine. The MX performed excellent. Spent many hours fishing in my MX with no discomfort. Seat is awesome and was able to stand up and fish when I wanted to. Well worth the money. this kayak is the best thing I ever sat in floating , fishing, and standing up in.really cool craft !! Purchased after extensive research of SOT fishing kayaks with adjustable seat and stable enough to stand up in. Also Purchased the Jackson kayak Cruise 12' for my wife. Both are very good kayaks and deliver as advertised. The MX is much more stable in both seat positions but slower in response do to its weight. The Cruise was very tippy in the high seat position! The low seat position on the Cruise is about the same hight as the high seat position of the MX! The MX also came with scupper plugged as the Cruise did not, my wife was not pleased when water came up scupper holes in rapids! Considering purchase price ($1200 MX vs $900 Cruise) and design of use (Fishing vs Recreation) the "You Get What You Pay For" applies here! Overall I am very happy with my MX other than its weight (4 stars), highly recommend a scupper cart! Q: Does this model have a rudder kit? A: No this kayak does not come with a rudder possibility. Q: Are these Predator MX kayaks 2018 models? A: Yes they are 2018 models!